and get on the grill. Looking for shade or greenery? Let us plant this spring. Enjoy your space - the backyard is your home as well. Curb appeal is a great way to add value to your home and neighbourhood. Interiors are unique, custom and built to last. driveway, front yard, pool and home! We use creative vision and the strength of the natural elements to compliment your property. Consultation Don't hesitate to contact us to get a consultation. Its easy. Click here. Landscape Design Our processes begin by assessing your needs and your dreams. Dreamview's design service is tailored to every client's individual requirements. Interior Design Renovating your home is an exciting time in your life. Our custom designs are tailored to meet your every need. Many thanks to you for your fine work on my yard - everyone who sees it, thinks it is beautiful and very cozy. It really has pulled the yard together and works so well with my deck. I will be more than happy to recommend you highly! I know you will continue to be very successful in your business, Greg! Just a short note to thank you for a job well done. It has been a couple weeks now since the project was completed and we have been getting loads of compliments on your work from our neighbours, friends and family. The work that you and your team did for us was terrific. It was a pleasure working with you all on the whole project start to finish. After working with several potential landscapers and designers on a request for proposal basis, we found that you listened to what we wanted and your original design stood out in the competition. Please feel free to share this note as a recommendation for your work which we found to be completed as quoted, and as scheduled in a very professional and high quality manner. With you approach to customer service and manner of delivery I am sure you are going to continue to do well in this business. Just a quick note to thank you for your part in making the Reflection Garden a reality. It's an area that will touch the lives of all students at Bateman, and in the community. Thank you again, you have made a difference to our community. We can't thank you enough for the amazing job you did on our yard. Your work ethic is fantastic. Thank you, thank you, thank you for getting it done in time for our (daughter's) 1st birthday party. We can't tell you how much we appreciate this. We will gladly spread the word about your wonderful business. Best of luck to you in all of your future endevours. I just wanted to thank you for the wonderful job you and your team did on my property. I couldn't be happier with the results and the quality of the workmanship, not to mention, the more than reasonable rates. I'm still so impressed with everything. I get compliments from my neighbors on a regular basis and hope that you will get a lot of referrals from the work. I'm sure I'll be in touch in the future with more garden plans and maybe some basement ideas. We want to thank you for the beautiful job you and Ian did at the cottage. We couldn't be happier with the results. The kitchen looks fantastic and looks even better than what we imagined. The custom cabinets are beautiful and we love all the finishings. You made space that we didn't even know existed, and that was desperately needed for our growing family. You both worked in tough winter weather and it never affected your spirits and professionalism. 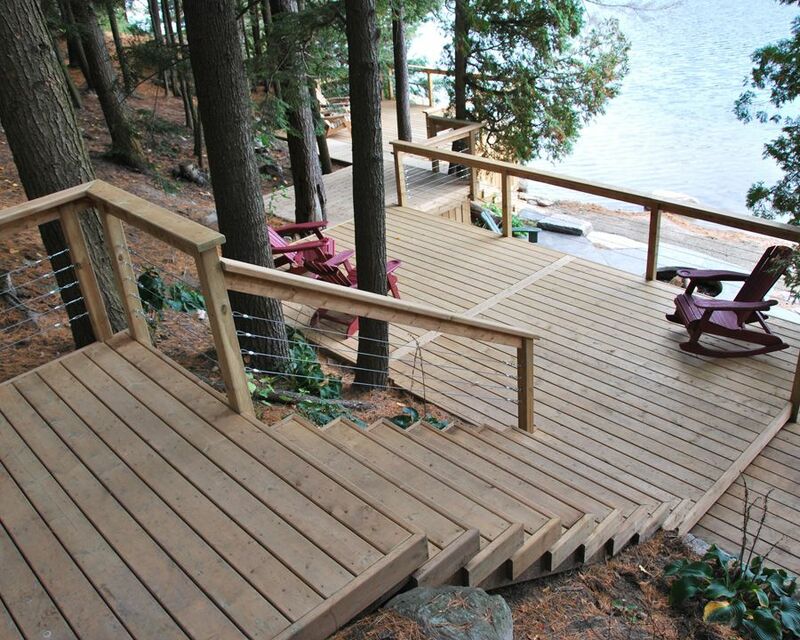 The decks you designed and built went above and beyond our expectations. Your attention to detail is truly outstanding. Thank you so much for working to stay on time and having the waterfront ready for the wedding. Our family and friends were amazed with the beautiful transformation. We would be more than happy to refer you to anyone. Thanks again for everything and all the best in your future work. Dreamview Landscape has developed a reputation for innovative design and excellent service to clients. 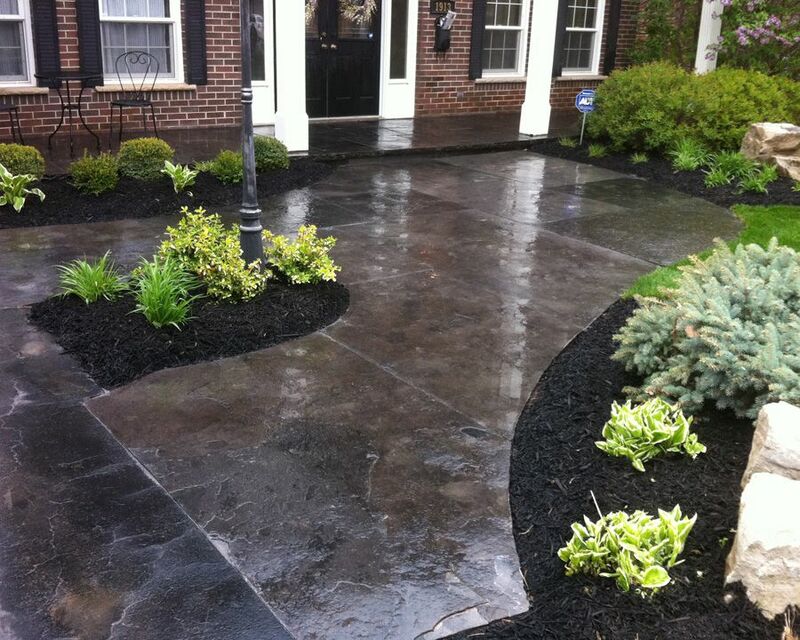 We offer professional, high quality landscaping services for residential and commercial clients in the GTA. Take a moment and get in touch with us. We will be happy to chat with you. Thank you.